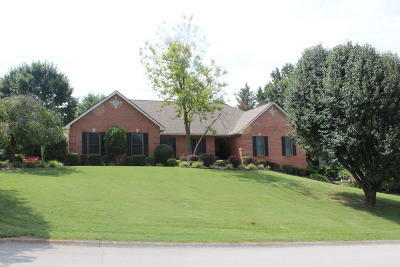 Don't miss out on this quality built home in well established City of Maryville subdivision! 4 BR, 3 BA + 2 half baths! This home has been meticulously maintained and offers so much space with a partially finished basement and a large unfinished area that could easily be finished or used as storage or a workshop! Completely painted interior, new vanities & tops in master bath, newer HVAC & pool liner, new tile flooring in bathrooms & laundry room! Gorgeous pool w/pool house and screened in porch! Outdoor entertaining at it's finest! Call today! Square footage per owner, buyer should verify.